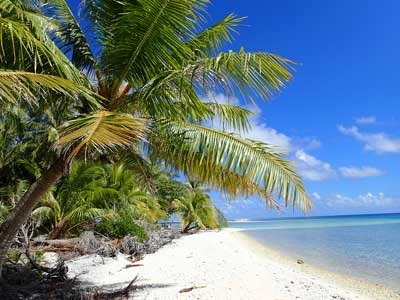 If the Marquesas Islands were like ‘Scotland post climate change’, the Tuamotus are the ‘Outer Hebrides with palm trees’. 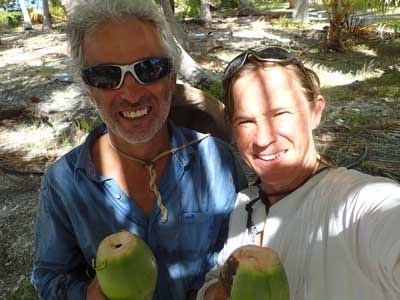 Franco and I paddled off in our kayaks in search of the perfect ‘motu’ (island) for two. Ever wondered why there aren’t any footprints? It is infested with ‘nonos’ (sandflies), the tropical equivalent to midges, so if you’ve been to the Scottish Highlands in the summer, you will have some idea. 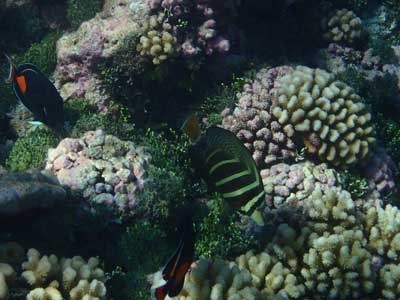 There are no fruit or vegetables, it is very difficult to grow anything in the coral sand, other than coconut palms. 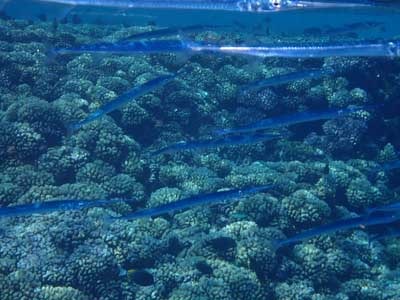 Remarkably, these islands have been populated since A.D. 1000. It is thought the first people may have been political refugees from the Marquesas and Society Islands. During the past half century, people started leaving and not returning, life was too hard. Our motu had a derelict house on it. Then, with the advent of affordable GPS and an increasing number of satellites in the sky, navigating safely through these atolls became possible, likewise air travel was developed and runways built on most but the most inaccessible islands. 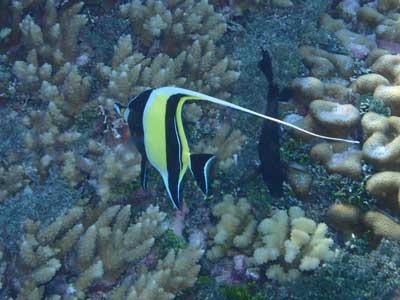 A black pearl industry was established and tourism and diving initiatives set up, creating jobs and so there has been a return and a revival. 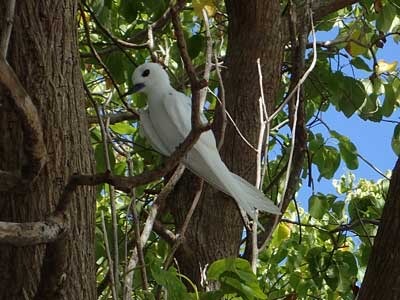 We spent a happy while looking around, white terns and black noddies were the only other visitors. 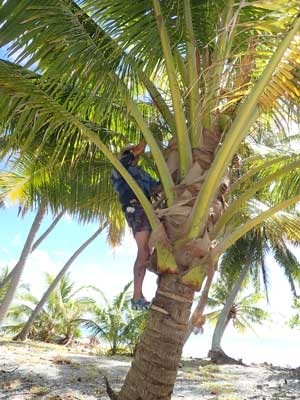 Franco climbed a small coconut palm and we enjoyed young green coconuts. He cut the soft top off and it was like opening a can of fizzy drink, the coconut water gushed out - the most refreshing drink we know. After two hours, we had run out of reachable coconuts. Luckily we could escape but if you were so unfortunate as to be shipwrecked, you would either have to learn to climb tall palms or die of thirst. 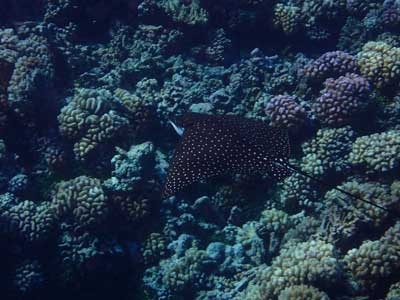 The snorkelling is wonderful though, as long as you don’t mind sharing the space with a few sharks.